Chris Beuker Maritiem in Groningen was commissioned by Jos Jellema in 2016 to build a cutting-edge new Lemsteraak. This 12.85-metre vessel had to fully meet the needs of the client, with the basic concept being a boat that could be sailed by the owners “until we’re 70”. Lemsteraken are traditional fishing vessels, and maintaining this distinctive appearance was an important part of the brief. 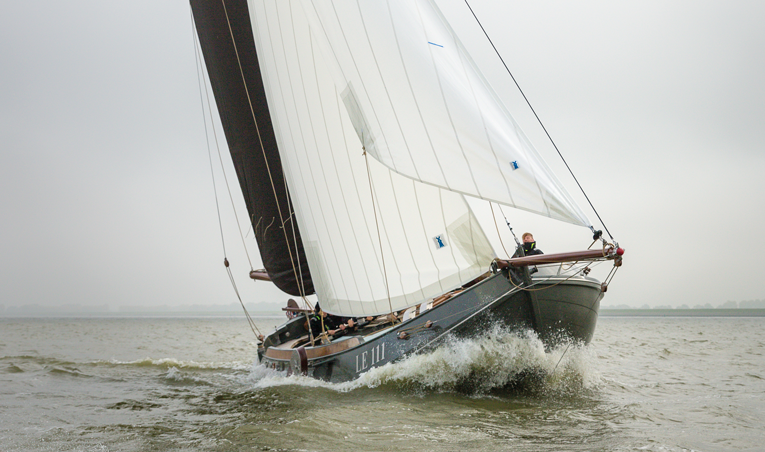 As the many admiring articles written about this vessel – including in the leading magazine Spiegel der Zeilvaart – show, the designers, builders and owners ultimately did an excellent job. 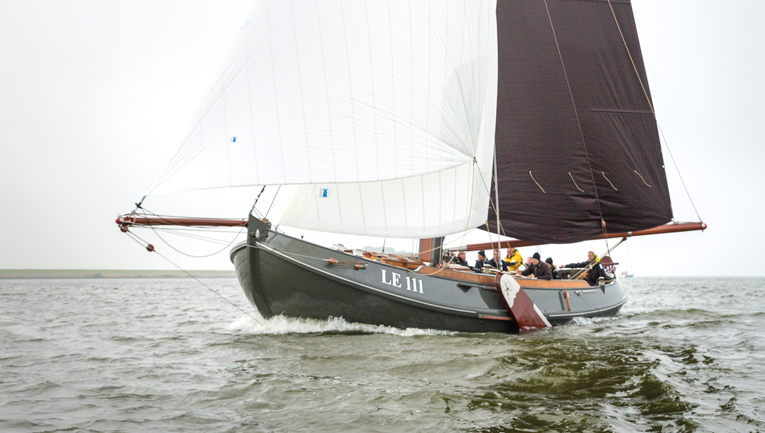 The result is a slimmer, more elegant vessel which combines extraordinary speed with a great deal of comfort. In keeping with the spirit of the times, the vessel has a hybrid propulsion for quiet electric sailing, and accordingly has a Mastervolt Lithium Ion battery bank (6 x MLI 24/5000, suitable for 48 V with 15 kW capacity), enough for 4.5 hours of sailing at five knots. The battery bank can be fully charged again within 2.5 hours. A CZone MasterBus system was fitted throughout the vessel in cooperation with Karyvo Sneek, who took care of the complete installation and control of all electronic components. All the necessary software is centrally accessible via a large touchscreen on the engine box. In addition to its other functions, the CZone system ensures that all winches (to operate the vessel and sails) are fully in compliance with the owner’s requirements and can be operated from the cockpit. An additional 12/2500 Mastervolt Li-ion battery was selected to supply the 12-volt consumers. This battery is separately charged with a ChargeMaster 12/50, which is connected to the switched output of the Mass Combi Ultra. Because the owners have a maximum shore supply of 16 A at their permanent berth, two shore connections were fitted, both feeding a 48-volt Mass Combi Ultra. This gives a charging capacity of 100 A and a total of 7 kW of inverter power for consumers such as a hob and a cooker. The owners are very pleased with both the system and the magnificent traditional vessel for guaranteeing silent and comfortable sailing. Moreover, the CZone system means that they can sail the boat alone, easily and without significant effort, and into their old age. The boat had to be set up in a way that would allow it to be easily sailed by an older person, which is why elements like winches and sails can be electrically operated. At the request of the owners, the vessel was made as green as possible, hence the light engine and electric primary propulsion. The electric sailing time of 4.5 hours at five knots is quite long. The battery bank can be fully charged again with the help of the engine. The Mass Combi Ultra is a 50 A battery charger, 3500 W inverter and AC transfer system in one. The Combi can be used for all energy sources such as the generator, shore power and batteries. 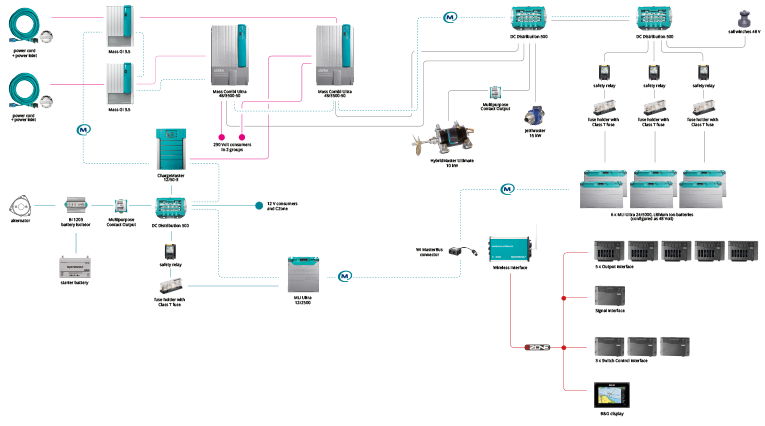 It automatically controls and distributes power, seamlessly connecting the available sources. As a result, batteries are always sufficiently charged and there is a stable AC voltage for the use of electrical equipment on board. This all-in-one solution provides optimal ease of installation and comfort. The hybrid drive led to a choice of a 48-volt system in this case. The MLI Ultra Series offers the best lithium-ion technology for the toughest conditions. To ensure they can handle high charge/discharge current, humid environment, mechanical shocks and vibrations, the MLI Ultra batteries have a rugged, waterproof casing and a smart Battery Management System (BMS), in addition to a selection of the best lithium-iron phosphate cells. Using the Wireless Interface and freely downloadable Mastervolt app, the entire system can be monitored and controlled via iPad. The Wireless Interface creates a wireless connection between the iPad and the Mastervolt system and can also function as ‘client’ of the main router. The benefit here is that you can log in to a single WiFi network to use the internet and other applications. 3 x Switch Control Interface.